DRC is one of the most challenging countries in the world in which to distribute nets. Distances are vast, infrastructure is poor yet the malaria burden and the need for nets is great. 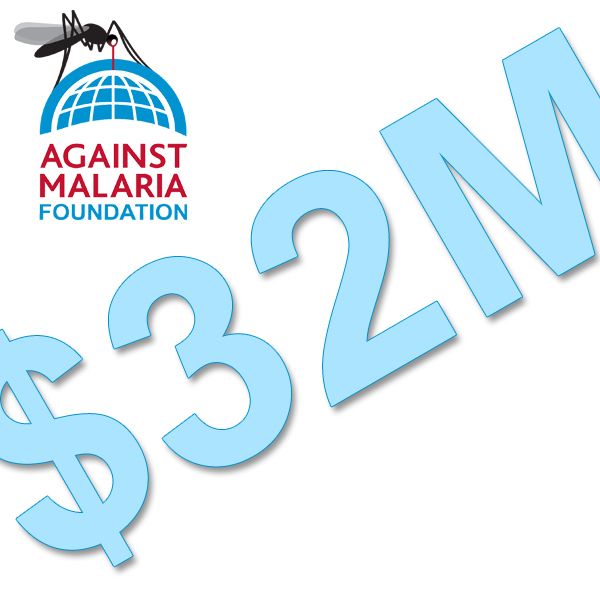 More than 500 people die from malaria every day in DRC, the majority children under 5. Bringing accountability to a distribution therefore faces additional challenges. The most important initial ingredient is a distribution partner who shares a strong desire to distribute nets accountably. In DRC we work with IMA World Health. A new ingredient is the smartphone. The contrast between this cutting edge technology and the environment in which it is deployed could not be more stark but the smartphone has the potential to be a powerful tool in the fight against malaria. Its use is in data collection. Rather than using paper and pen to note down household details and record nets distributed, and then face the logistical challenge of aggregating in one place from distant locations the information on many, many pieces of paper (approximately 7,000 for a 676,000 net distribution) data can be uploaded to a computer and aggregated with relative ease for correction, verification and analysis. And sharing. This last point is important as information in electronic form can be easily shared facilitating transparent review by interested parties, including health leaders and programme funders – thereby delivering accountability. The distribution of 676,000 nets in West Kasai, DRC was completed in December 2014. We are currently reviewing the distribution verification data and post-distribution report with our distribution partner, IMA World Health, and expect to publish a full report in the next few weeks. This distribution is the first that both parties have undertaken using smartphones to collect household-level data. We expect teething problems, as with any new introduction of technology, especially in a country such as DRC. However, we are undeterred by this, as the benefits of improving processes in this region are so significant. Typically, pen and paper are used to record such information during the registration and distribution process. We have written previously about the potential for smartphone-based data collection. Smartphones installed with a data collection program, created using open source software, were used to collect household-level data including how many nets were given to each individual household. 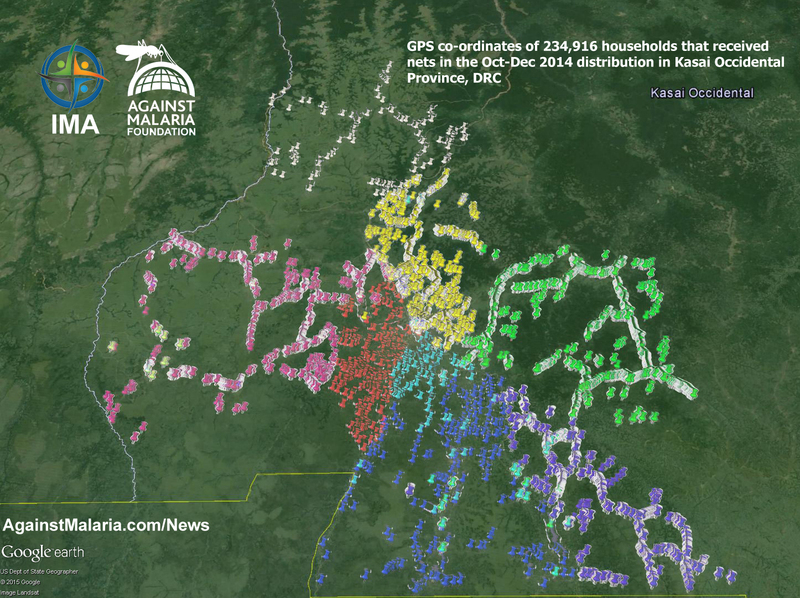 GPS coordinates were recorded for each household receiving nets and these data are being reviewed as one aspect of 'distribution verification' – ensuring nets were distributed to beneficiaries as intended. We will publish a full report and distribution review in the coming weeks but in the meantime wished to share a summary image showing the GPS data received for this distribution. Each pin colour represents one of the eight Health Zones and each pin represents the specific location of one of the 234,916 households that received nets. We believe these data are a promising sign that smartphones could be a powerful and practical tool to help net distributions deliver operational efficiencies and high levels of project accountability.